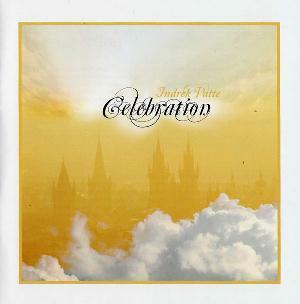 Review: "Patte, Indrek: Celebration" - Sea of Tranquility - The Web Destination for Progressive Music! Indrek Patte, an Estonian vocalist and multi-instrumentalist has been active working with several bands since the 70's. Some of his most famous tenures included time with the band Ruja and Linnu Tee. "Celebration", a solo album, is his latest release from 2011. With a 53:17 minute running time this album is full of wonderful progressive music which brings back many reminders from the genre's glorious past. The lyrics are full of praises to the Lord and the magic of the music helps provide a wonderful backdrop for the positive message being delivered. The main band consists of Indrek Patte, on vocals, keyboards, and guitars. Raul Jaanson, provides guitars; Vladislav Reinfeldt, plays bass; Priidik Soon, plays flute; Edward Soon, provides cello; Hendrik Soon, provides violin; Kristjan Mazurtshak, plays saxophone. Other guest musicians include: Toomas Vanem, on guitars; Margus Kliimask, on bass; Taavo Remmel, on bass; J�ri Mazurtshak, on drums; Annabel Vardja and Elisabeth Vardja on backing vocals. This album is a wonderful trip back in time, with a new spiritual quality to the lyrics. Resurrection opens the album with keyboards that took me right back to the heart of Saga's "Images", the opening of the "Chapters" continuing saga. Nice place to start. There is even a little essence or salute to the silent movie era, only adding to the epic quality of the opening. Priidik Soon's flute adds a magical, early Genesis quality as Patte's keyboards bring a full on Tony Banks comparison. The heavy guitars bring back memories of some of Kansas' "Leftoverture" highlights. Fantastic music surrounding one of the most profound events in Earth's history. Learn to Live brings a melody eerily reminiscent of Genesis' "Trick of the Tale". The piano captures that melody so well. Patte's unique vocals help add a new twist on the sound and the inspirational lyrics take it from there. The Journey is full of great acoustic guitar teamed well with lead electric, bass, and fast paced drums. The lyrics are inspiring and the keys really bring back memories of some of my favorite music from the past. The bouncy melody and rhythm make this journey entertaining. Excellent bass work to close out the song. One Way opens with cello, flute, chimes, and sax, before acapella choruses sing more spiritual lyrics, set to wonderful keys and later jazzy rhythms and synths. The building banks of keyboards raise the level and power of the sound, just before the violin and Patte's solo vocals slow the rhythm down for a reflective moment. The power returns and helps to close the track well. Shine opens with excellent acoustic guitar and ELP � like keys, before the lead electric joins in to build the melody. A great melody and rhythm filled with great lyrics, "With peace and joy His children sing about His grace". "Shine all your love and I'll be there with you". "You know my name before the beginning", opens You Stay With Me, along with some of the best lead electric guitar work on the album. That is followed by the best keyboard sounds yet, making this the best track on the album. The chorus is also the strongest on the album. But that keyboard work is unforgettable�just like it used to be with Banks and Emerson. Mount Meggido opens with ripping guitars and solid drums set to organ sounds this time. The fast paced rhythm and tempo adds a new feel to the album. The guitar and keyboard work is indescribably great! Second best track on the album. He truly saved some of the best tracks for the end. Celebration, at 9:19, is the longest track on the album. It opens with power guitar and keys slowly weaving their melody. Then what sounds like harpsichord sounds. The added flute brings back memories of both the Moody Blues and early Genesis. There is even a hint of the majesty of Procol Harum as the piano work builds. The flute work is by far the best on the album. The majestic, Hackett � like guitar work around the mid � point eerily brings back the glory days of Nursery Cryme and Foxtrot. The section in which he repeats "All, that you�", brings back memories of Pink Floyd's "Eclipse". "See the Kingdom come".